Sweet Georgia Brown is a jazz favorite, recorded here by Brother Bones and his Shadows for Tempo in 1949. But to fans of basketball and buckets of confetti the world over, it means one thing: The Harlem Globetrotters. 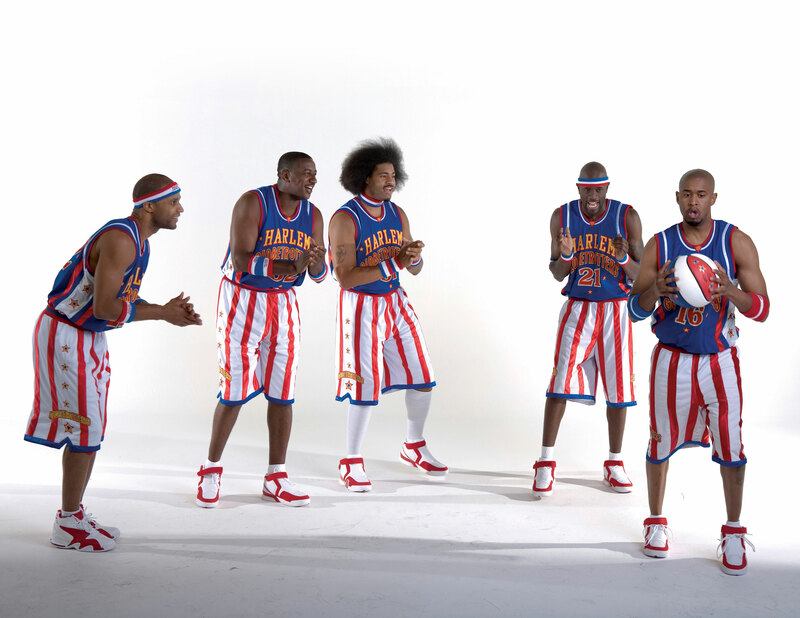 Currently celebrating their eighty-fourth year of existence, the Globetrotters are one-part exhibition basketball, one part circus. The high-flying, dipsy-doo-ing Globetrotters and their long-suffering opponents have entertained an estimated 100 million fans in over ninety countries. As for Brother Bones, he got his name playing…you guessed it: The bones. They’re large rib and leg animal bones to be precise, though they’re also made of wood or synthetics. The Globetrotters aren’t all fun and games…in 2000 they lost to Michigan State, the reigning NCAA champions, by only two baskets. Click here for a thorough Globetrotters history.